WPI offers a range of macro and micro biosensors for monitoring nitric oxide, hydrogen peroxide, oxygen, carbon monoxide and hydrogen sulfide. 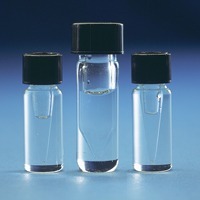 Find information on the different WPI biosensors below. 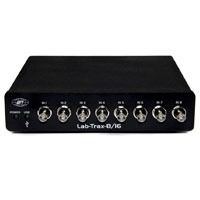 We offer single channel and 4-channel systems for free radical analysis. These systems work with WPI's line of biosensors and your data acquisition system. Meet the award winning scientist who heads our Biosensing division. 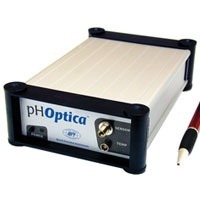 Our free radical analyzers are used in biosensing experiments to detect oxygen, nitric oxide, carbon dioxide, hydrogen peroxide, hydrogen sulfide and glucose. Selection includes high selectivity and low detection limit sensors WPI's biosensors are unique, because they offer a high selectivity and low detection limit (down to nM concentration) with a broad dynamic range, covering physiological concentrations of species with different sizes from nanometer to millimeter. The majority of our sensors are the only commercially available sensors in the world. Scientists across a variety of disciplines have relied on our sensors for over 25 years. These scientists use WPI's sensors for research performed in universities, hospitals, biomedical research labs, pharmaceutical companies, food/nutrition research labs, environmental monitoring centers and military labs. 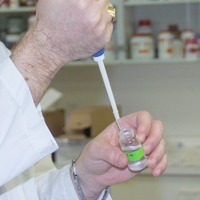 Our popular biosensors are listed in thousands of publications. 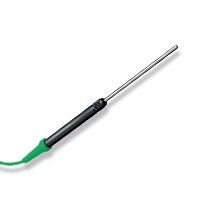 Looking for reference electrodes, carbon fiber electrodes or ion selective electrodes used in biosensing research application. They are here with all the biosensing accessories. All aerobic and anaerobic life is adapted to survive in a narrow range of oxygen concentration. Oxygen is the terminal acceptor in oxidative phosphylation in mitochondria, the cell's ATP making powerhouse. Oxygen also regulates production of proteins involved in nitrogen fixation in anaerobes, and is required for inflammatory elimination of invading foreign substances such as virus and bacteria by production of reactive oxygen species (ROS). 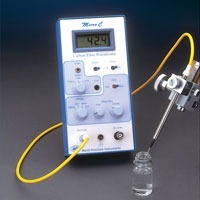 WPI's dissolved oxygen sensors are sensitive linear and enjoy a broad range of application. 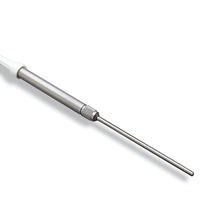 We offer a variety of pH sensors for free radical biosensing applications. WPI has a long history of innovation in the area of ion-specific detection and recording. We have developed biosensors and provided quality tools and instrumentation to life scientists for nearly 50 years. In 1989 we marketed the first commercial sensor for nitric oxide and have been at the front of the field ever since. WPI maintains strong ties and collaborations with University of Alabama, University of South Florida, Harvard University, MIT, University of California Los Angeles, University College London, University of Cambridge and other institutions around the world. WPI also has its own fully equipped research and development laboratory staffed by scientists who continually design, develop and produce sensors relevant to the changing requirements of research. We have been the recipients of many federal grants to expand our technology in this area, as well. Today WPI carries a full range of products that focus on the detection and measurement of biologically significant ions and compounds. Our line encompasses more than 600 products including: electrodes, sensors, calibration solutions, cables, amplifiers and recording electronics. We have everything you need. 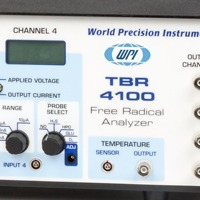 Real time detection and measurement of a variety of redox-reactive species is fast and reliable using the electrochemical (amperometric) detection principle employed by WPI's TBR system. This low noise system works with a variety of sensors for detecting nitric oxide (NO), oxygen (O2), hydrogen peroxide (H2O2), Hydrogen sulfide (H2S) and glucose.